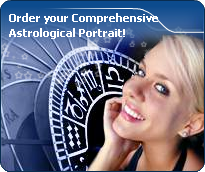 You will find on these pages the celebrity horoscopes having Cupido in the 12 signs with an interactive chart and excerpts of astrological portrait. Cupido is related to socialisation, the arts, and marital life. On the downside, it indicates vanity, addiction to pleasures, and being strongly influenced by groups of people. Hypothetical trans-Neptunian planets - Cupido, Hades, Zeus, Kronos, Apollon, Admetos, Vulcanus, Poseidon, and Proseprina - the existence of which is not proven, were invented by Alfred Witte, founder of the famous Hamburg School, and by his student, Friedrich Sieggrün.